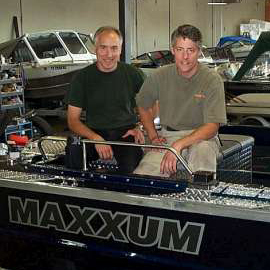 The Maxxum Marine company was founded in 1988 by brothers Lloyd and Stacy Slonecker. Born and raised in Eugene, Oregon, the brothers grew intimately familiar with the Willamette River after their parents built a home on the river just downstream from where it merges with the McKenzie River. Stacy has been dismantling and rebuilding boats since his junior year of high school. Earlier in their careers, Lloyd and Stacy both built custom aluminum boats ranging in length from 13 to 28 feet. The brothers chose the Maxxum name to stand for maximum strength and maximum performance. Today they customize and sell boats from North River, Boulton, River Hawk, Weldcraft, Duckworth, Starweld and Allied Boats. 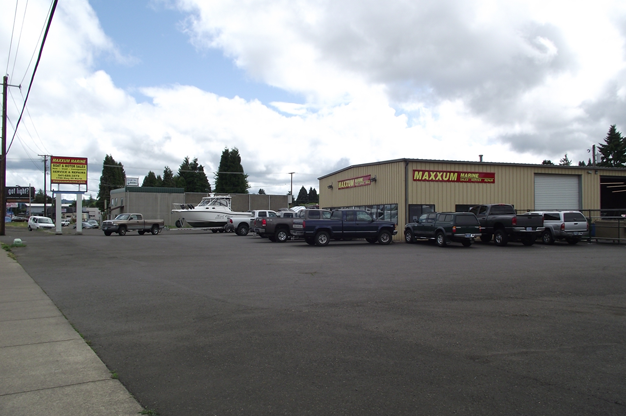 Maxxum Marine is also a factory authorized service center for Suzuki, Yamaha, Tohatsu outboard motors.